What has prison got to do with translating Polish poetry? Is children's literature meant to prolong the experience of childhood, or introduce our little ones to the darker realities of being a grown-up? Covering the last 300 years of Polish poetry, Marek Kazmierski presents three new translations of poems meant for children, which – like all great works of art – speak to all ages, cultures and tastes. A decade ago, I was teaching creative writing in prison in West London. Working with people who were often denied access to even the cheapest paperback helped me realise that books are portals of the most extraordinary kind. Just think about what they do – the non-physical thoughts and emotions of the writer are converted into sound (the basic form of language), then pictures (letters started out as pictograms), then infinitesimally complex sequences of words, sentences and paragraphs, which are then printed on cut-down pulped trees so that countless others can use the light flying in from the nearest star, bouncing off the page and inside their eyeballs, to convert their reflection into the same thoughts and emotions the writer was feeling at the time of writing... or, as is often the case, the very opposite to what the writer wanted the reader to think and feel. Still, whatever the eventual outcome, what our humble books do for us is truly spectacular. Cheap to produce and distribute, easy to carry and use, capable of conveying words and pictures, great as gifts and as tools, eminently recyclable, they might just be the cleverest and most important thing we have ever invented. The key to bringing Polish writing to the world? And yet, are books the best way of conveying poetry? Many people in Poland think the world is well-versed in names such as Mickiewicz, Tuwim or Szymborska. But statistics published in 2015 by Literature Across Frontiers show that Poland produces less books of literature translated into English than almost any other European language in comparison to the size of its population. Almost every other European tongue, including Albanian, Catalan and Icelandic, seems to be doing better than Polish at exporting itself in translation. And yet, Polish children's books seem to be experiencing a renaissance. Stats published at this year's London Book Fair, where Poland was the Market Focus guest, show that while all areas of publishing are in decline, the sales of children's and illustrated books went up by a third in the last five years! 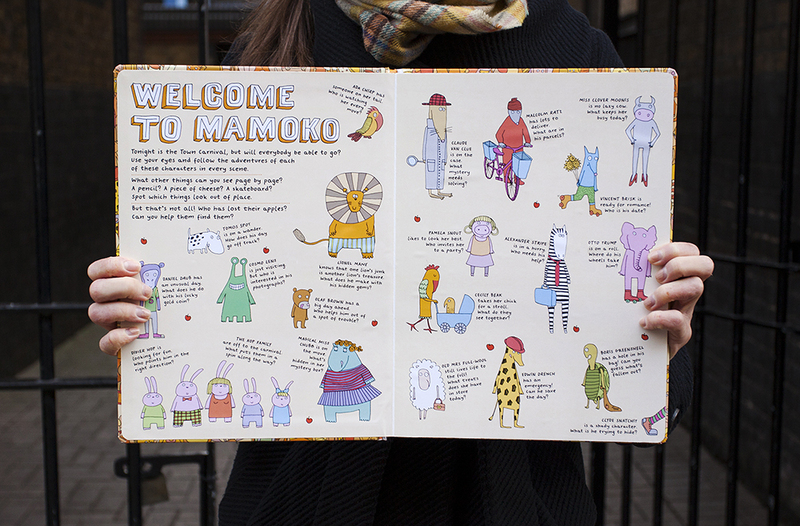 All over the world, people are taking a fresh look at old stories and tales written for children. 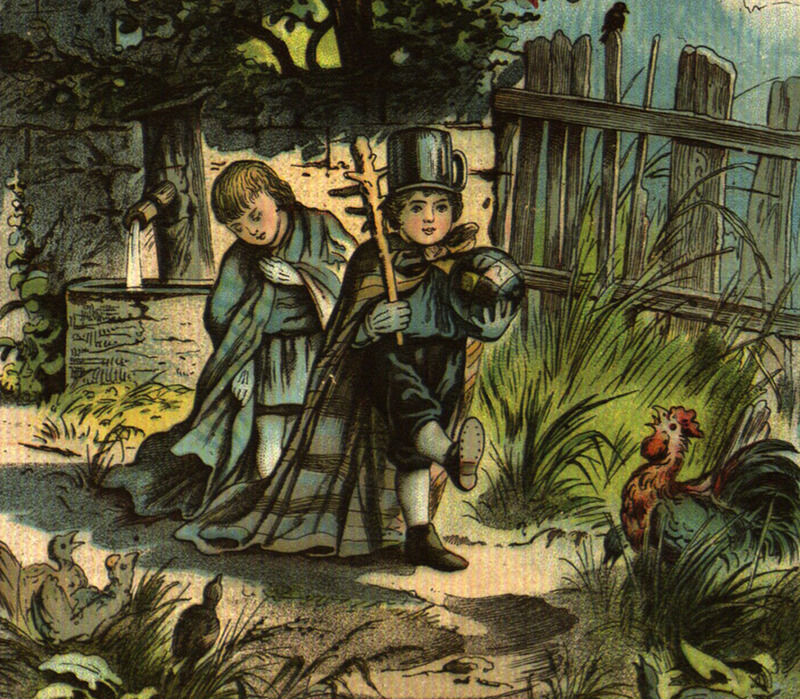 As in the case of Marina Warner's Once Upon A Time, fables and poems are being taken seriously as literature – after all, long before we had the modern education system, they were the only way most children had of learning. And not just how to speak and perhaps read, but also why they shouldn’t trust old ladies handing out shiny apples, or go eating houses made of cakes hidden inside unfamiliar forests. Stories about dragons and witches and monsters were clearly meant to warn children off trusting strange things and developing their self-protective interests. Not all fairytales were noble in intention though – Beauty and the Beast was written relatively recently as a means of convincing young girls to marry much older men, namely those chosen by parents wishing to finding solid matches for family estates. Its moral is: you may think your new beau is beastly, but in time you will learn that looks are not so important. It’s hard to say why Poland has such a tremendous store of children's poems and stories, and why so little of it has been translated so far into English (with some notable exceptions). Yet, I suspect that the last 300 years of invasions, partitions, occupations and other national disasters have not only honed the pens of Poland's poets, they have also inspired them to write amazingly colourful verses, for the young and the old, designed to keep both spirits and guards up. even though his old man always lived on the go! and a priest who lived just as he preached. a banker who wasn't horribly greedy. But what is a fairytale? Now, there's a thing! Don't worry, you sleep, and just let me sing. Like Toy Story, Shrek and a whole host of children's books also loved by adults (Harry Potter, The Little Prince, Winnie the Pooh and so many others), this poem is fun for young audiences, firing up their imaginations and dancing in their wee ears, but also has hidden ‘inside jokes’ for adults, which gives it added depth. I won't go diving in it for you, but if you stop and think about what the poem has to say about both people and poetry, you might be pleasantly surprised. 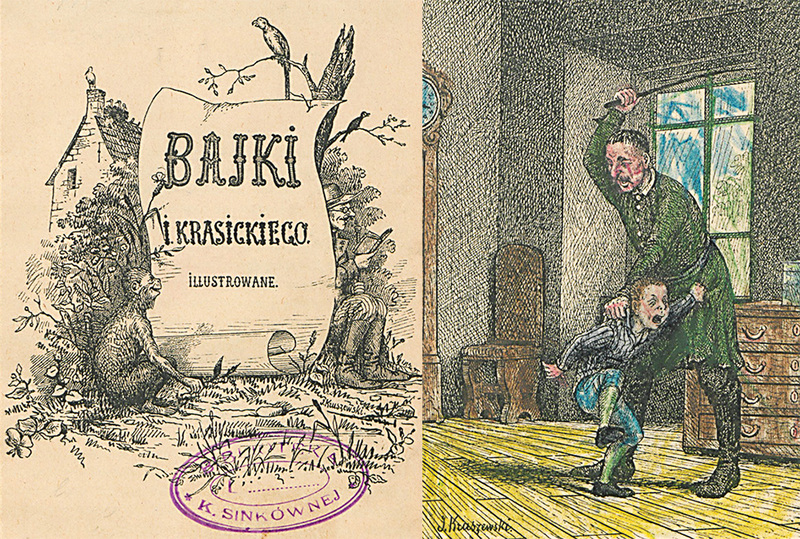 My next translation comes from the 19th century, and was written by Stanisław Jachowicz (1796-1857), a Polish educator, poet and author of children's books. He is regarded as the founding father of children’s literature in Poland, having written many fairy tales, penned the first children's songbook in Poland, and even set up the first European daily newspaper for young readers. for trapping flies and feeding them honey. then locked his bedroom, where Ted now weeps. 'til father says: ‘See how time flies? Here we see a key theme developing – that of the morality play for kids. Ted has been forced to learn a painful, yet essential lesson about empathy. Current scientific research shows children only begin to develop awareness of the needs of others around the age of five, but obviously nobody knew this back in the 19th century! 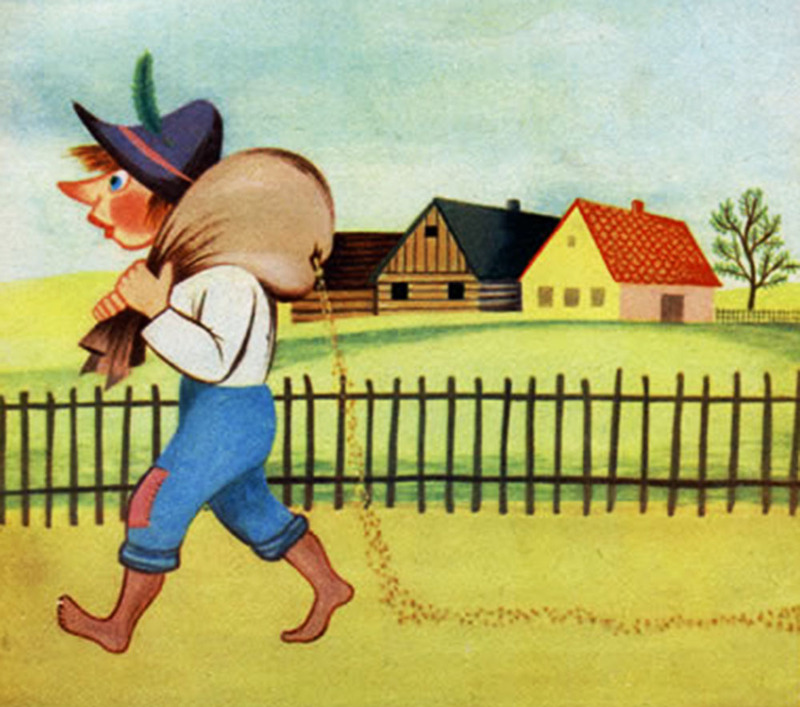 So, fairy tales, poems and songs for children had to make do with traditional wisdom and, in the absence of paid-for play-schools and child psychology, prepare Poland's young'uns for adult life. Perhaps because Poland suffered so much through the past three centuries that its poetry for children is so powerful – Polish poets have always had to use charming words not only to cheer children up, but also to protect them from harm. The last poem isn't in any way as dark as classic fairy tales such as Red Riding Hood and Hansel & Gretel, but it does give us a hint of the creative genius of the man who wrote it. and birds they did bark. Clearly, this sort of poetry, written almost 100 years ago, echoes nicely with our current attempts to develop children's creative and imaginative faculties as a means of surviving in the 21st centuries crazy cultural chaos and career environment. Overall, it is essential not just to read poetry to delight in its form, but also to consider its inner purpose. If the 20th century was a period of a very modern sort of darkness, dominated by abstract forms and existentialist philosophies, perhaps now we can safely revisit our folklore (which after all means ‘people's stories’ in Old English) and traditional tales to discover long-forgotten gems. As I busy myself translating the likes of Fredro's Monkey Taking a Bath, Brzechwa's Wacky Ducky and Tuwim's legendary Locomotive, I am finding a joy I rarely experience translating poems written solely for grown-ups. In their work, I feel a deep sense of respect for their little readers – easily bored and yet easily influenced, great children's poetry has to entertain and educate in equal amounts. It’s something Polish poets seem to truly excel at!